Everybody should write their book really. We do not only carry stories around in us, sometimes we carry pains, and most times, healing only comes from writing down our troubles. I do not know how this works really. I do not know how to go into the psychoanalytic theory that supports the therapeutic function of writing. This simply explains it though: writing heals. For Bashirat Abdulwahab, writing tames her demons and offers some closure on her pains. No one should have to bear life the way Bashirat bore it. It is very unfair. But wait, when has life ever been fair? 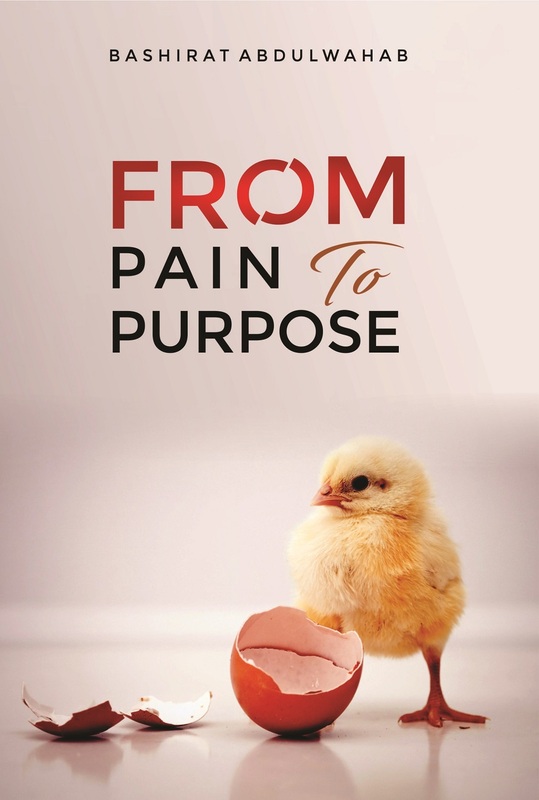 From Pain to Purpose is an archive of pains, loses and Bashirat’s remedial steps to survival. This is a guidebook to not losing it all even when it seems you’ve almost lost all. Scabs are reminders of what hurts us deep. With this book, Bashirat Abdulwahab confides those scabs in us all while inspiring us in the process. Many times, people advise the fallen to get back up and pick up from wherever life knocks them off. All that motivational gibberish. Truth is not everybody will get back up and be over the odds stacked against them. In Bashirat Abdulwahab’s From Pain to Purpose, there is a composite array of the story of loss and gains, mapping out where the writer had fallen and overcome. Not everybody always has it this way. 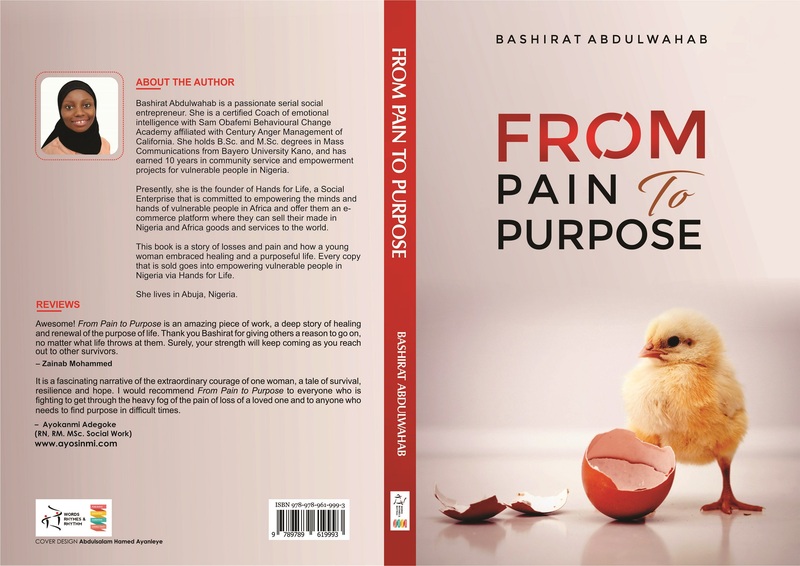 In this book, Bashirat Abdulwahab is a phoenix coming out of every born anew. Divided into 12 chapters, this book is a miniature autobiography that sums up the writer’s life. At every pivotal point of this writer’s life, there were great loses. Before she became a teenager, this writer lost her mum. It would seem the world would end, but no, life continued. Bashirat Abdulwahab uses her losses to teach the reader. At the end of every chapter highlighting her struggles, she brings out lessons and instructions on overcoming. It is in this way that this book is didactic and practical. 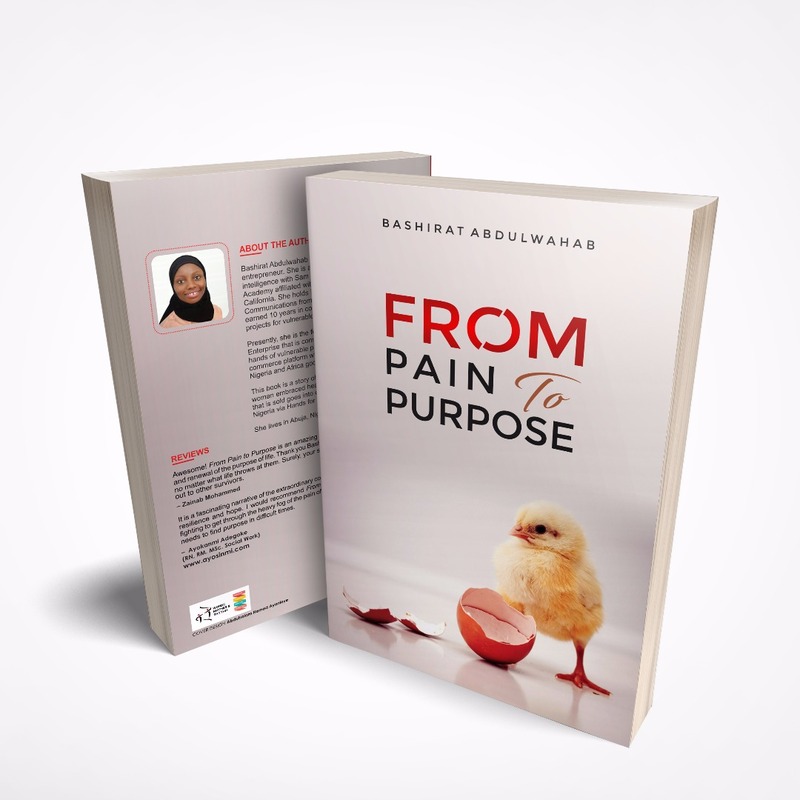 When she lost her mum, and her Dad remarried and moved on, Bashirat Abdulwahab springs up a lesson on us all, that nothing should stop anyone from living if life hasn’t ended for them. Hard as it may seem, that is the truth. Losing her mum was the first of the many series of darkness. But this book isn’t only of loses, there is love too. At every dark point, fate always sends a rescue. To Bashirat Abdulwahab, her daddy and loved ones around made surviving easy. By the time the second, the third, and then fourth and final loss hit, this writer has developed a strong shock absorber. However, this isn’t to say she breezed through them all. She broke into many smithereens but soon gathered them up for strength. However fleeting some of the happy moments in this book may be, those moments were purposeful in the writer’s life. There were the happy moments of love, care, and companionship. Chapter 4 is dedicated to how she found love, met her husband and married. That chapter is everything in this book. You just want to stay there and enjoy the peace; you do not want any bad thing to happen. In subsequent chapters, the writer bares her whole roadmap to success and becoming strong. Bashirat Abdulwahab’s life is a great lesson, there are lot things to learn from her. This book is not a long read. It is something you can always read over and again. @omotayo is a Nigerian reviewer and blogger. Some of his works are published at criticalliteraturereview.blogspot.com and josephomotayo.blogspot.com.